Manuel Morales graduated with a Bachelor of Science in Civil Engineering from INTEC in Dominican Republic and is a Florida Registered Professional Engineer with over 14 years of building envelope experience including inspections, consulting, testing and structural design of façade, cladding, roofing, and waterproofing systems. Mr. Morales’ specialties include building code compliance, building forensics, moisture resistance design, and hurricane resistance design. Mr. Catledge is a Professional Engineer registered in multiple states including Florida, Indiana, Texas, Kentucky, Michigan and Louisiana. He has over 15 years of engineering experience including structural analysis and design of bridges, geotechnical analysis, design and inspection of foundation systems, as well as glass and glazing systems. Mr. Catledge also has eight (8) years of experience overseeing construction materials testing and structural inspections. John Delgado has a degree in Bachelor of Science in Mechanical Engineering. He has 15 years of experience in the Glass and Glazing industry. His background includes project management, technical management, product development, code compliance and fenestration consulting. Mr. Delgado is also an active member in the review of the glazing industry standards. Mr. Echezabal brings over 30 years of experience. He became a Florida Certified General Contractor in 1984 and has worked as an Architectural Project Manager providing field quality control and producing full project specification for various architecture firms. He focuses on the prevention of water intrusion into commercial structures. He serves on the Broward County Board of Rules and Appeals, Roofing and Fire subcommittees and was president of the Ft. Lauderdale Chapter of CSI. Cristina Moreno graduated with a Bachelor of Science in Civil Engineering from Florida International University. She has over 5 years of experience in engineering, consulting, inspections and field testing of building envelope components ranging from glass and glazing systems to waterproofing, roofing and exterior wall cladding. She has an excellent ability to work with any team to effectively accomplish project goals. Jude Sosa holds an Associate’s Degree in Electrical Engineering Technology. He has over 18 years of experience in field and laboratory testing, and Quality Control inspections of building envelope components ranging from glass and glazing to exterior cladding and waterproofing. Mr. Sosa’s expertise includes conducting and overseeing tests per industry standards including AAMA, ASTM and the Florida Building Code’s Testing Application Standards (TAS). Edward Ledesma graduated with a Bachelor of Design in Architecture from the University of Florida and a Master of Civil Engineering from Florida International University. He has over 7 years of experience in architectural and engineering design work specializing in building technologies, structural engineering, glass and glazing engineering, wind-structural interaction research, structural forensic investigation and construction management. Eileen Morales graduated with a Bachelor of Science in Civil Engineering and has over 10 years of experience as a project engineer specializing in glass and glazing engineering, structural engineering and construction management. Her understanding of structural design allows her to work on the design of complex projects as well as oversee and train junior staff members. Leandro Castellanos graduated with a Bachelor of Science in Civil Engineering and is an integral part of our team. He is a project engineer with over 8 years of experience specializing in glass and glazing engineering, structural engineering, building maintenance and preservation and construction management. Additionally, Leandro is a Certified General Contractor, allowing him to have a well-rounded view of projects. Mary Forsythe holds an Associate Degree in Drafting Technology. She is an engineering associate with over 5 years of experience specializing in Quality Assurance, Building Envelope Inspections, Structural Storm Hardening, and Electrical Distribution Engineering. She has expertise in Quality Control Management as well as the Assessment, Design, and Restoration of Public Works Infrastructure. Jorge Jimenez graduated with a Bachelor of Science in Civil Engineering from INTEC in Dominican Republic. He has over 2 years of experience in construction engineering having worked in various industries ranging from residential, building, and infrastructure by managing projects and performing field site inspections. Anabel Figueredo graduated with a Bachelor of Science in Civil Engineering from the Havana Institute of Technology where she also taught Civil Engineering courses for 2 years. Her professional experience ranges from plumbing design to structural diagnostics and design of steel and reinforced concrete. Arelys Perez graduated in 2008 with a Bachelor of Science in Civil Engineering. She now works in the review and design of façade structural members including aluminum and glass windows and doors as well as supporting steel structures. Her experience includes building maintenance and preservation, construction management and estimating. Armando Hernandez studied architecture at the Instituto Politécnico Jose Antonio Echeverria (ISPJAE) in Havana, Cuba as well as in Miami Dade County in Florida. Mr. Hernandez has over thirty years of experience working with glass and glazing shop drawings, fabrication drawings and Product Approvals (NOA’s). Hector Villadoma is a project engineer at Facade & Envelope, where he verifies standards in building codes, including dimensions and calculations. Hector graduated with a Bachelor's Degree in Mechanical Engineering. Michael carries over 7 years of experience in architectural & engineering design . His attention to detail makes him the ideal person to have on installations. His knowledge of different materials and construction products gives him the background to excel as an inpector. Bianca Chambers holds a Bachelor Degree in Science and several years of experience with a varied background in project engineering, management and finance. She directly handles all financial matters such as accounts payable, payroll and banking. She oversees all office administrative functions and is the point of contact for employees and HR related matters. Ms. Desrosiers is experienced in providing professional and high quality client services to clients untill all requirements are met. She is highly knowledgeable and skilled to fully utilize and improve clients experience , enhancing the company brand. She is definitely a positive team player that brings great interpersonal skills to the table. Façade+Envelope was founded in 2013 with the desire to offer a service unparalleled in our industry. In order to achieve this we have methodically incorporated our products as the company and our client base have grown. Understanding the importance of communication has been the key to this success. It is ingrained in our team from day one, whether it is in our relationships with clients, our community or each other. 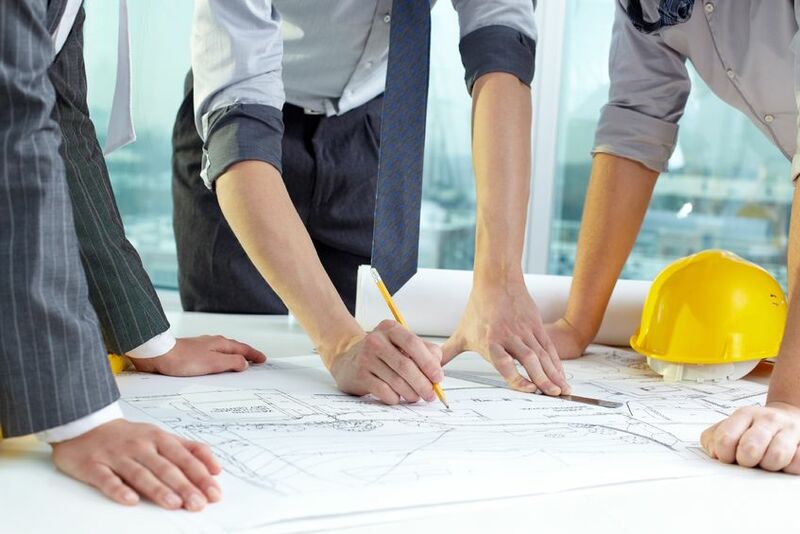 Having developed a very strong reputation as building envelope consultants and engineers in South Florida, our founders decided to begin the firm by offering specific services instead of our full range of products. This was done in order to ensure the quality of our work and to establish the reputation of Façade+Envelope beyond that of its founders. We began by providing specialty services as glazing engineers for glass, aluminum and steel systems including windows, storefronts, curtainwalls, canopies and balcony railings. By incorporating our training, experience, expert knowledge of the latest Codes and Standards, as well as state-of-the-art engineering software, we have successfully worked as glazing engineers on tens of high-rise and mid-rise projects. Over thirty five of our projects are some of the most renowned buildings of recent years, not only in South Florida, but in Texas, The Caribbean and the Midwest of the United States. Working hand in hand with our clients we have engineered various groundbreaking glass and glazing products including all-glass facades, point supported glazing systems and single-span, ultra tall storefront systems, all complying with the very stringent requirements of the Florida Building Code’s High Velocity Hurricane Zone (HVHZ). We use our engineering expertise to ensure the enhancement of our communities and the continued success of our clients. 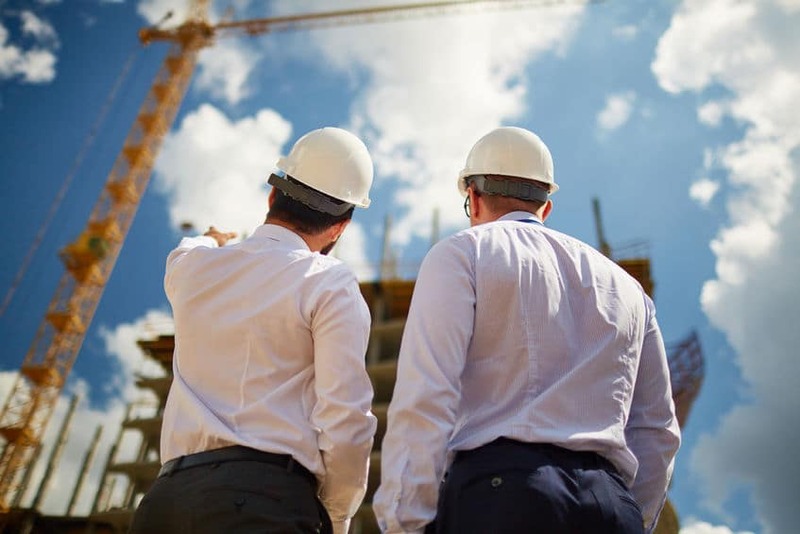 As our specialty engineering department became well established and our team grew, we began offering additional building envelope related services including consulting, inspections and field testing. Now we would not limit ourselves to glass and glazing but instead we expanded to the other envelope components that make up the range of our expertise including: waterproofing, roofing, exterior stucco, coatings, EIFS and sealants. Applying the same key principles (the desire to excel and recognizing the importance of communication) we have continued to meet and exceed clients’ expectations by providing a wealth of knowledge as well as a customer experience that helps ensure lasting relationships. As consultants we aid in, among other things, review of the architect’s schematic design, the selection of proper materials, the design of adequate transitions and the assurance that the design intent and criteria make it onto subcontractor’s shop drawings and submittals. The quality of the installation and workmanship by building envelope contractors (roofers, waterproofers, painters, glazers, etc.) is assured by our inspection and field testing services. Inspections include monitoring key items such as surface preparation, materials used, and procedures followed, as well as verifying that glazing systems’ structural and weatherproofing components (glass, framing, anchorage, sealants, etc.) are installed in compliance with approved documents including shop drawings, calculations, test reports and Product Approvals. Field water infiltration and air infiltration testing help confirm the proper performance of the overall components, whether they are glazing systems or horizontal waterproofing surfaces. Through testing we can help discover and identify performance issues which cannot be determined through visual inspection alone. The latest stage of our expansion of services comes through key partnerships with experts in the fields of Energy Optimization and User Comfort. This is vital to our definition of “unparalleled” service as our industry in Miami and South Florida is not yet driven by these crucial design factors. We seek to educate our community on the importance of these parameters as they affect both our planet and the well-being of the end user. Through the expertise of building science architects and engineers we assist in designs incorporating and optimizing thermal comfort, natural lighting, natural ventilation (computational fluid dynamics-CFD) and HVAC systems. Services for existing buildings include energy audits, industrial energy optimization, simulations for energy, natural lighting and thermal. Experience with local and international standards from societies such as ASHRAE, USGBC, BRE and PHI, contributes to environmental building certifications such as LEED v4, BREEAM and PASSIVHAUS. Through structural engineering and building envelope consulting, inspection and testing we strive to safeguard the life-safety of the end user and the protection of property. Through energy efficiency and user comfort consulting we seek to reduce the impact on the environment and to ensure the comfort, health and happiness of the end user. From our beginnings we have concentrated on Building Envelopes as a specific industry. We feel that this industry is not limited however to a specific location. Even though the incorporation of more stringent Building Codes in South Florida has lead to the need for specialty glazing engineers and consultants, life safety and user comfort should be safeguarded globally. With this in mind we will continue our strategic growth in order to offer excellent services wherever they are needed.